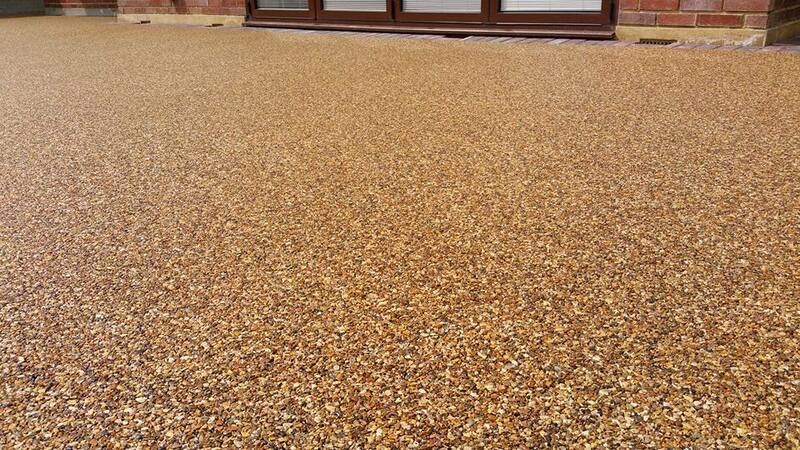 We Now Offer A 10 Year Porosity Guarantee! 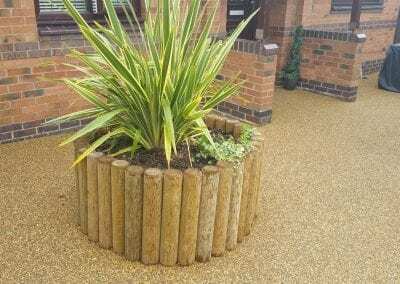 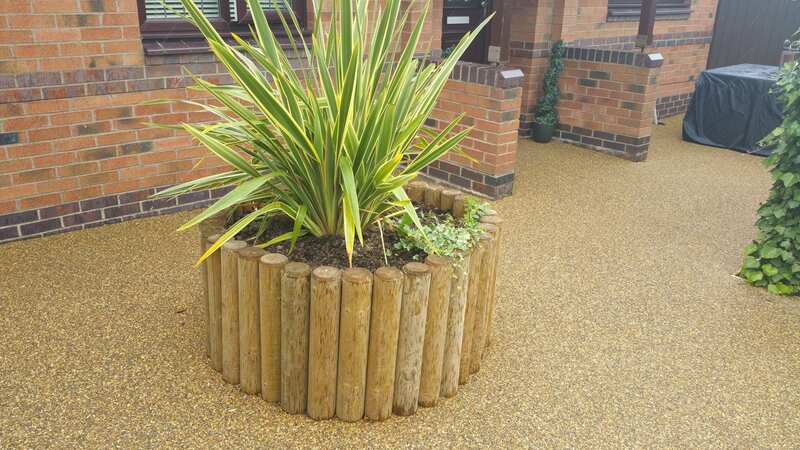 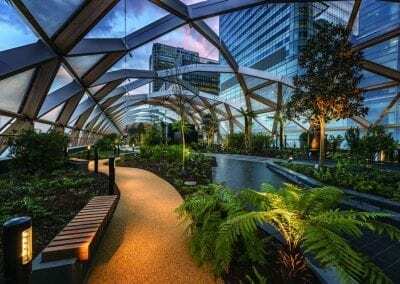 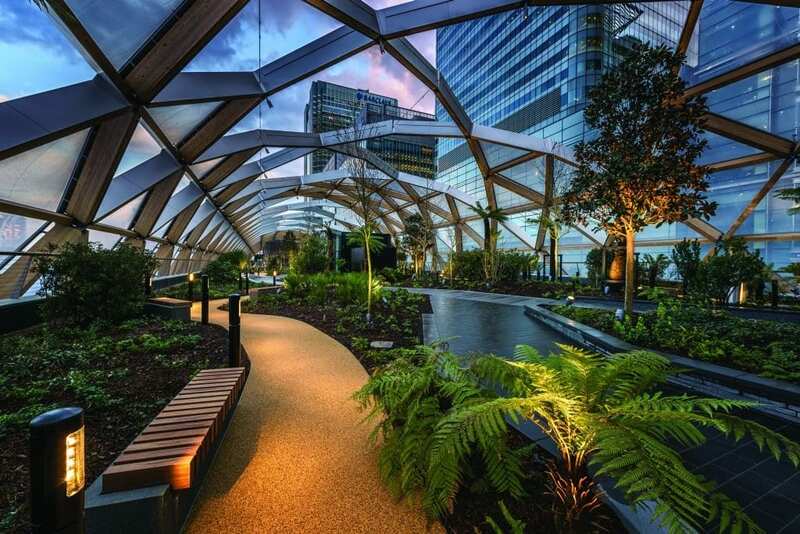 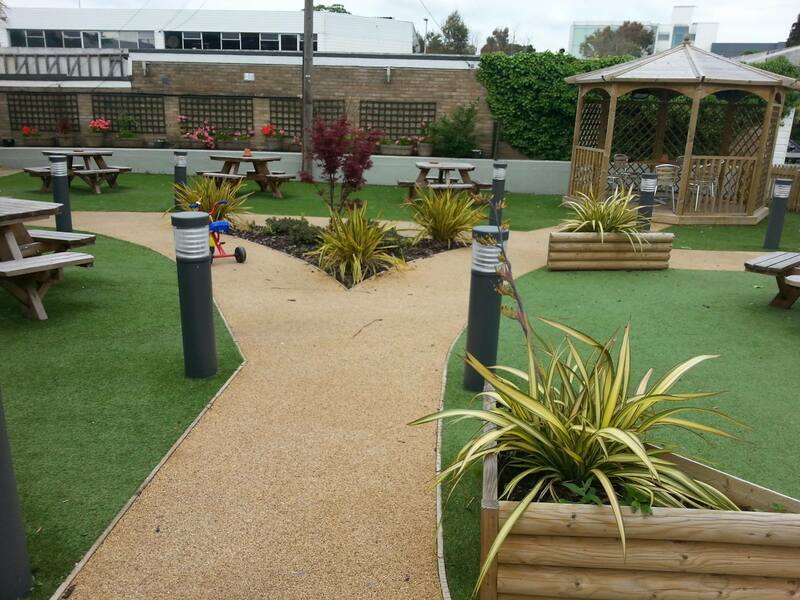 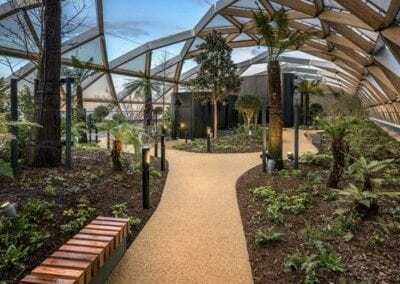 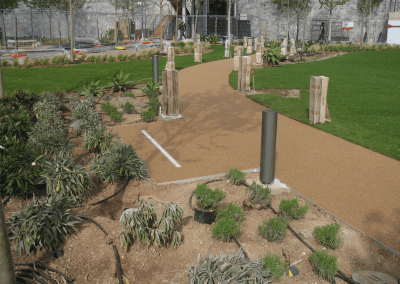 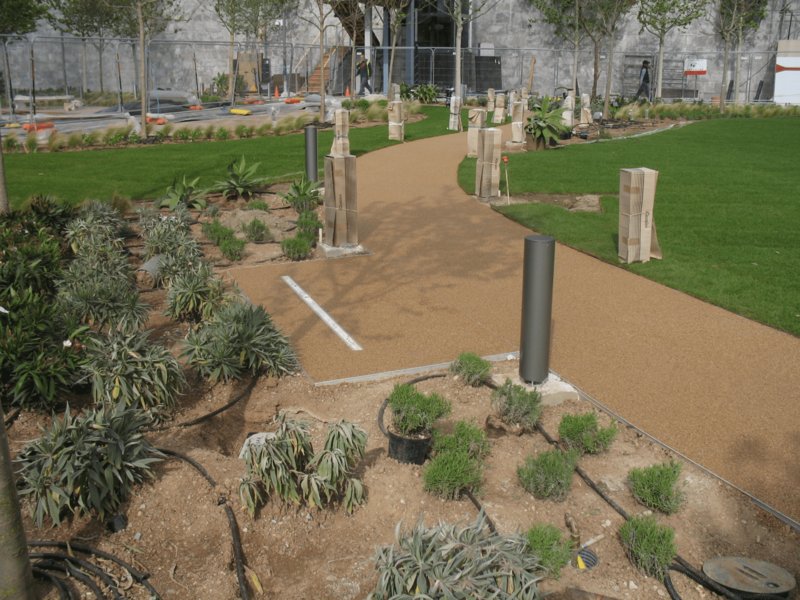 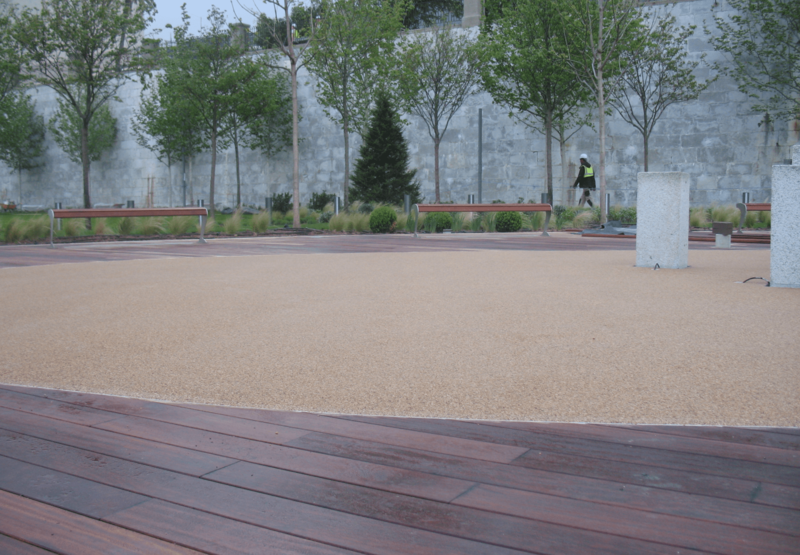 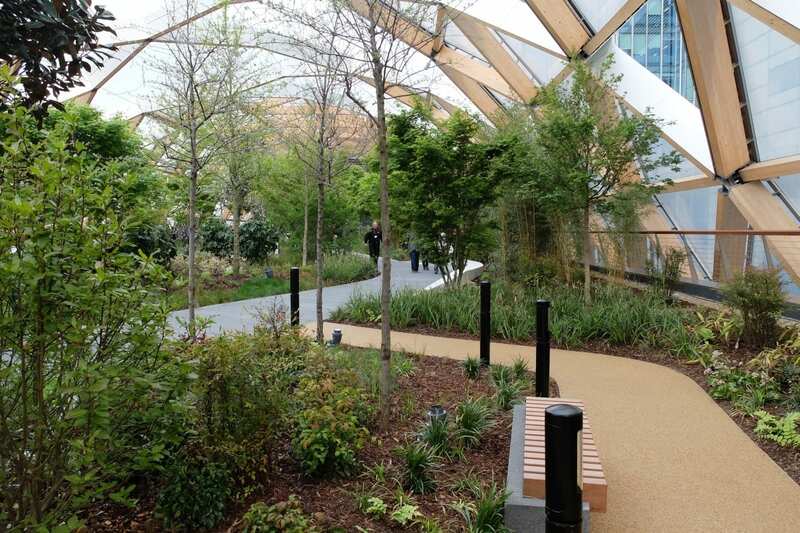 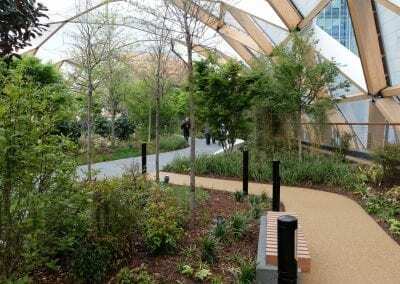 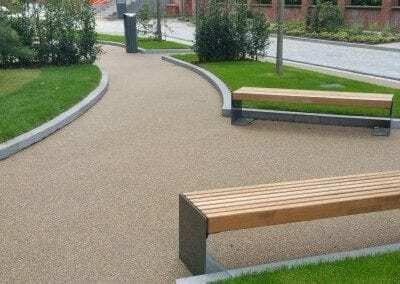 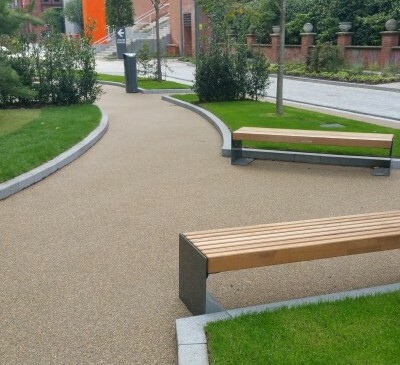 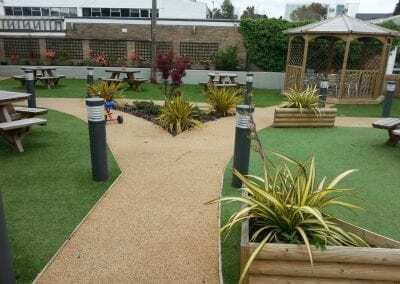 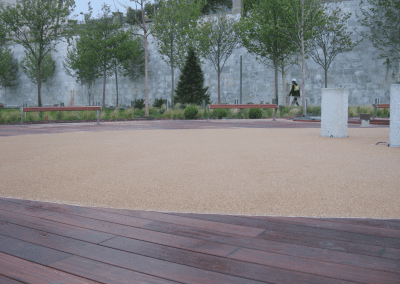 Sudstech permeable paving is an eco friendly SUDS-compliant (Sustainable Urban Drainage Systems) water management solution developed for both the commercial and public sector. 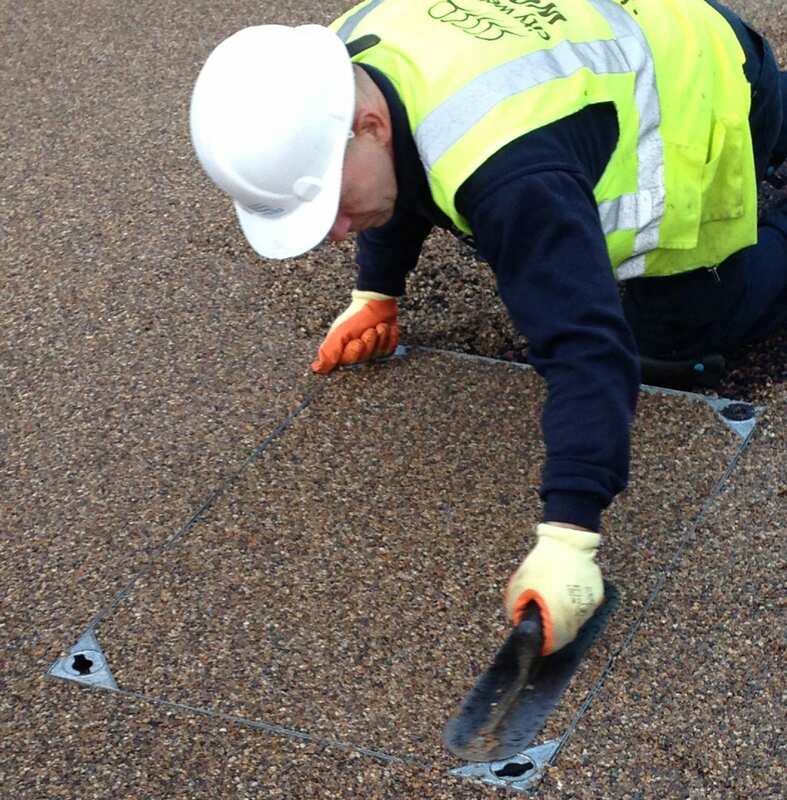 Unlike other resin bound products the Sudstech system utilises a recycled car tyre sub base eliminating delamination and clogging, ensuring unrivalled porosity of 80,000 ltrs per m2 per hour. 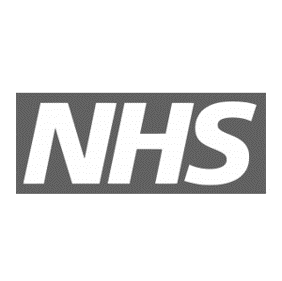 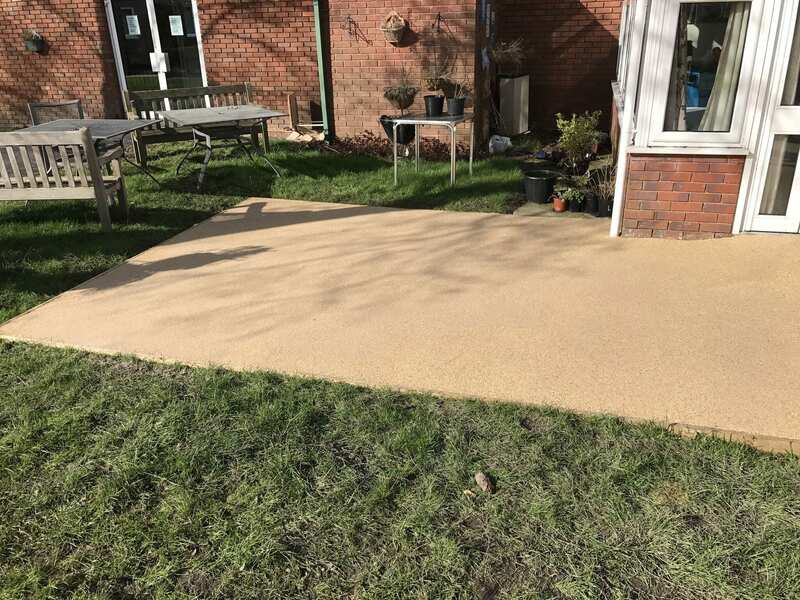 The Sudstech system has been developed over the past 5 years and has been rigorously tested at the British Research Establishment for both impact and freeze thaw. 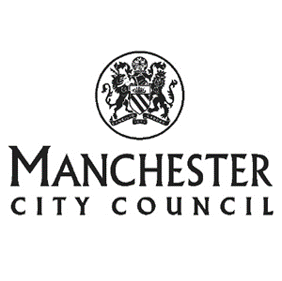 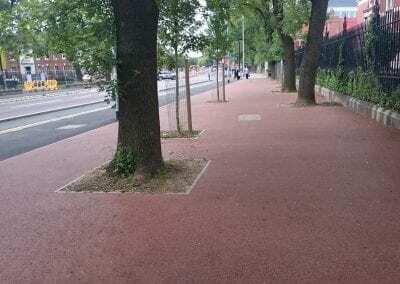 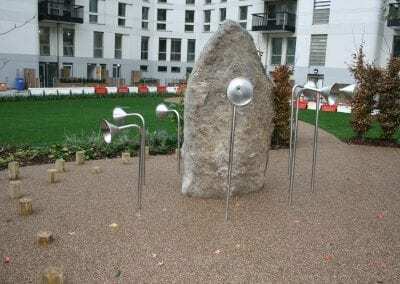 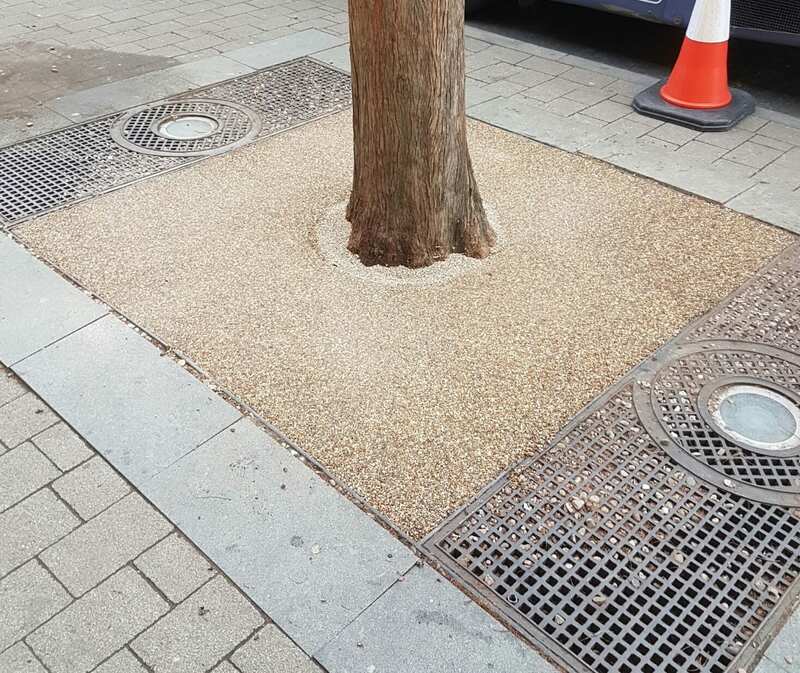 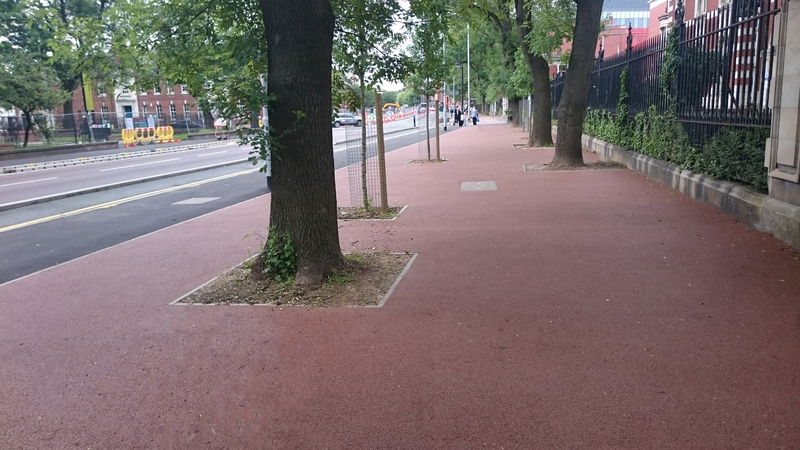 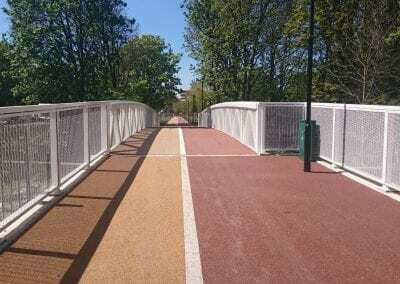 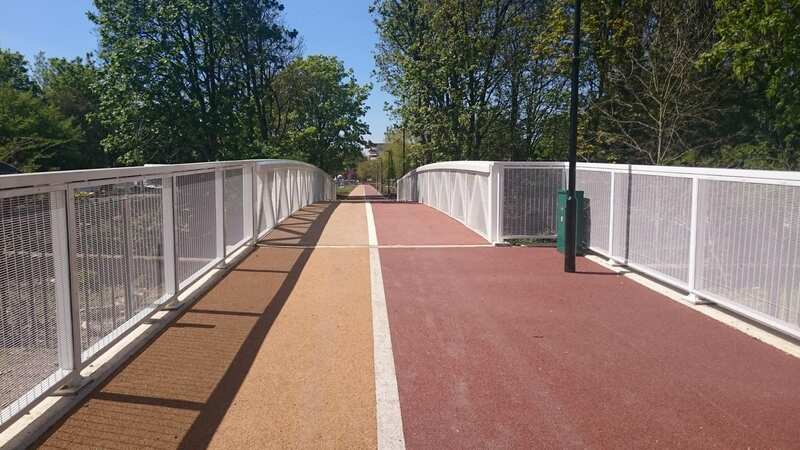 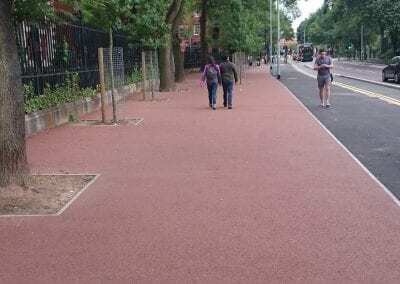 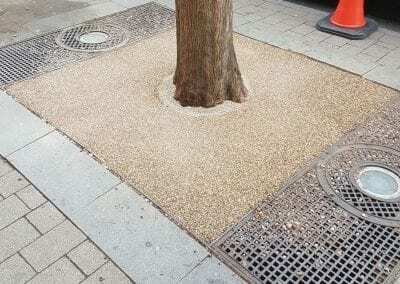 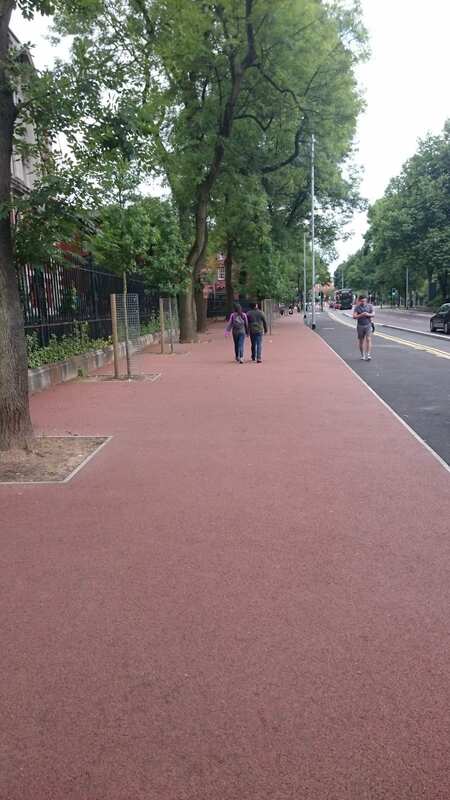 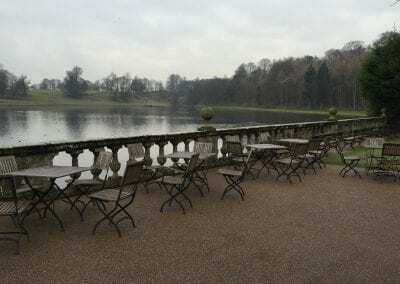 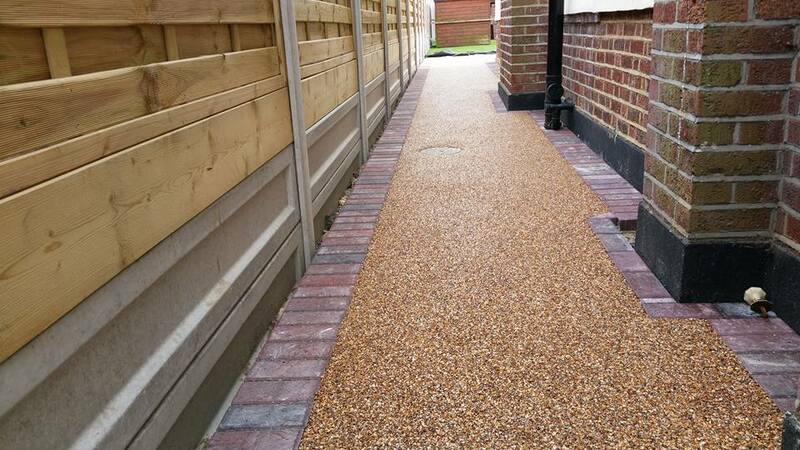 The use of a Sudstech surfacing in conjunction with a permeable sub-base based SUDS system could achieve up to 4 BREEAM credits under the latest revisions. 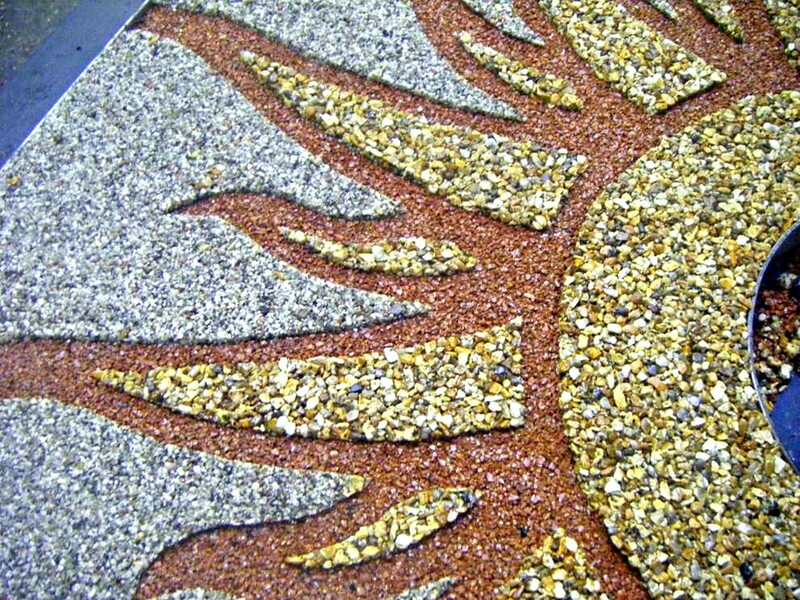 All of our finishes are made from natural stone sourced in the UK. 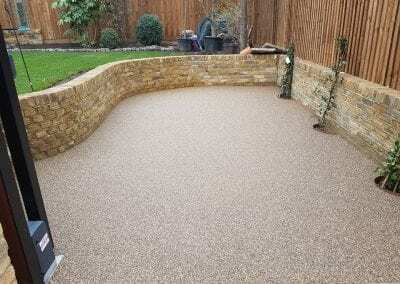 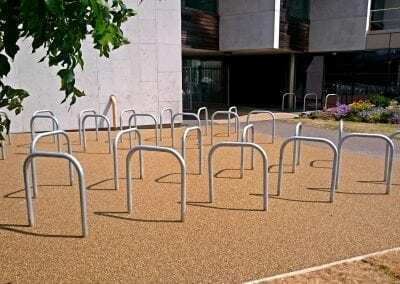 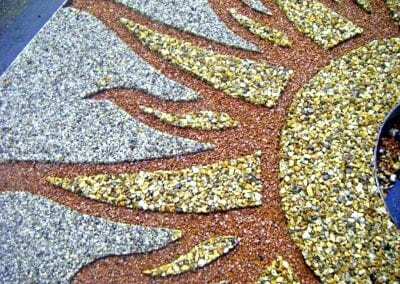 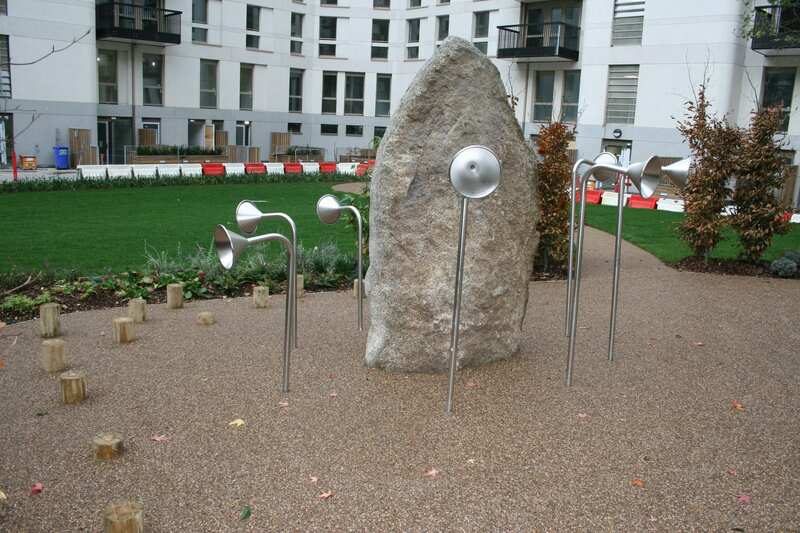 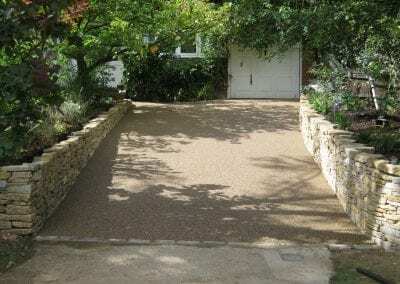 We use varying grades of angular aggregate to maximise the strength and durability of our surfaces. 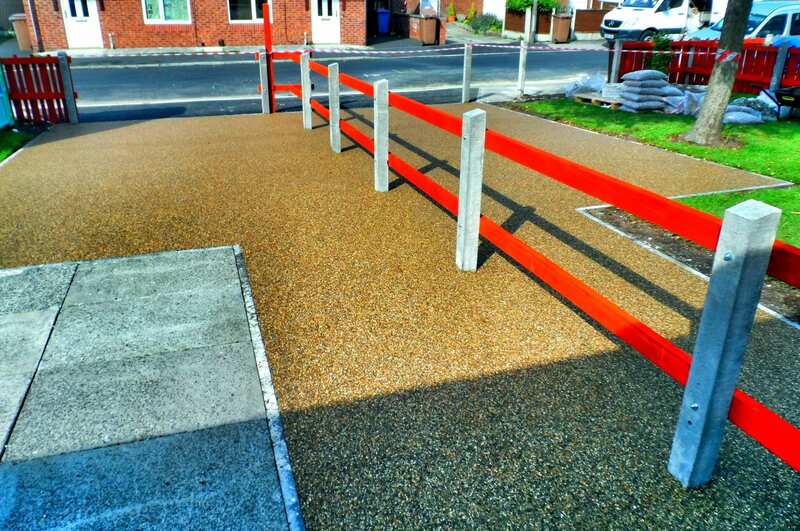 Selected finishes can be modified to fit additional specifications such as colour variation and weight loading capacity. 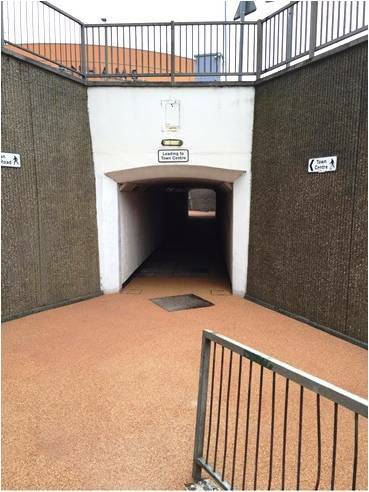 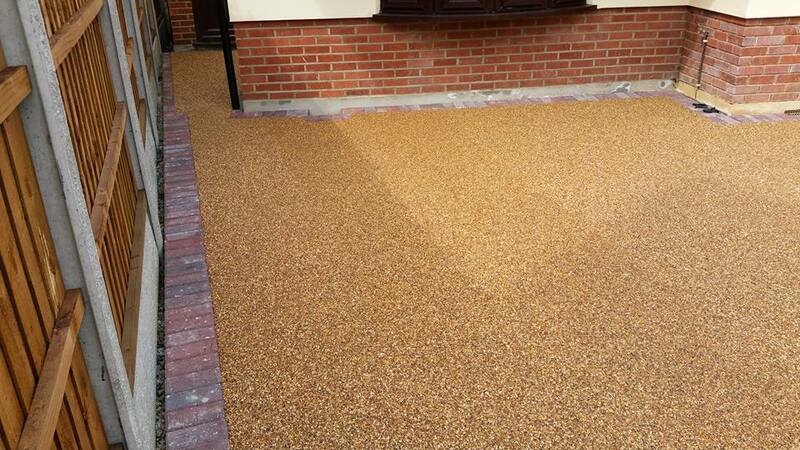 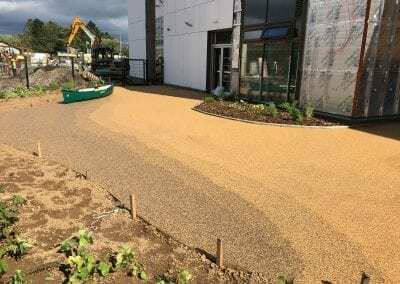 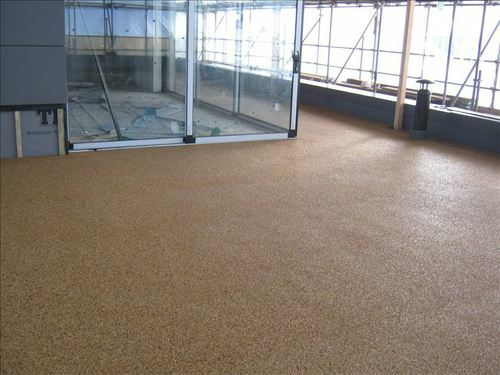 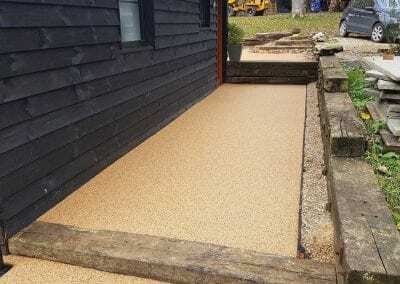 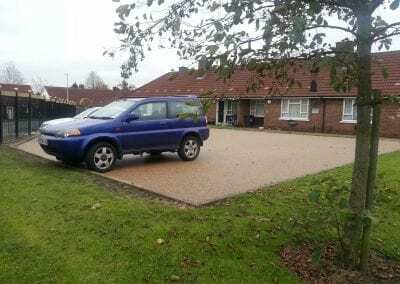 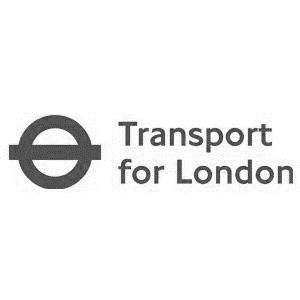 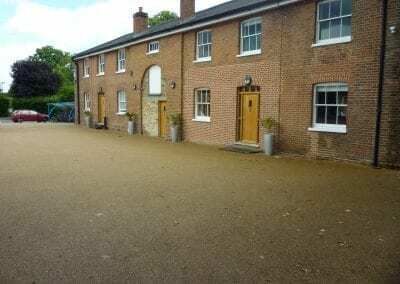 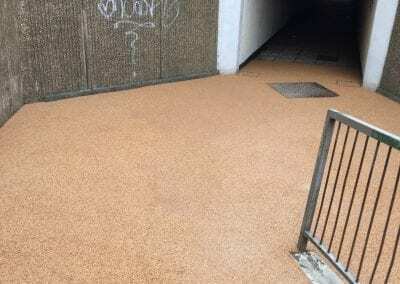 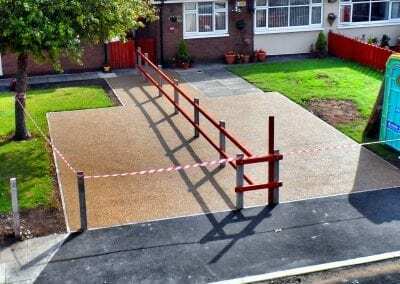 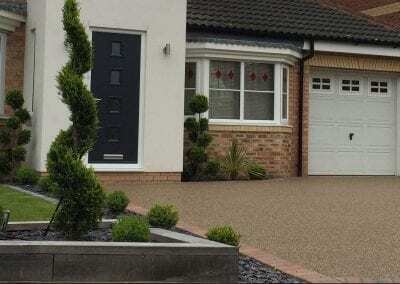 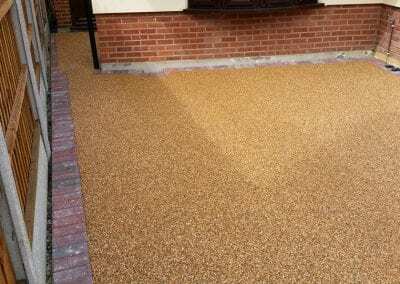 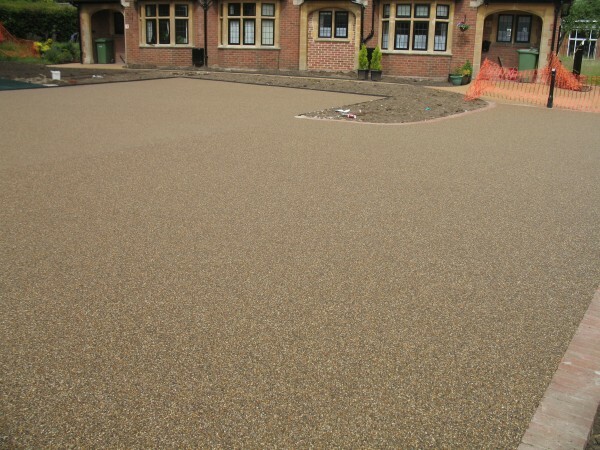 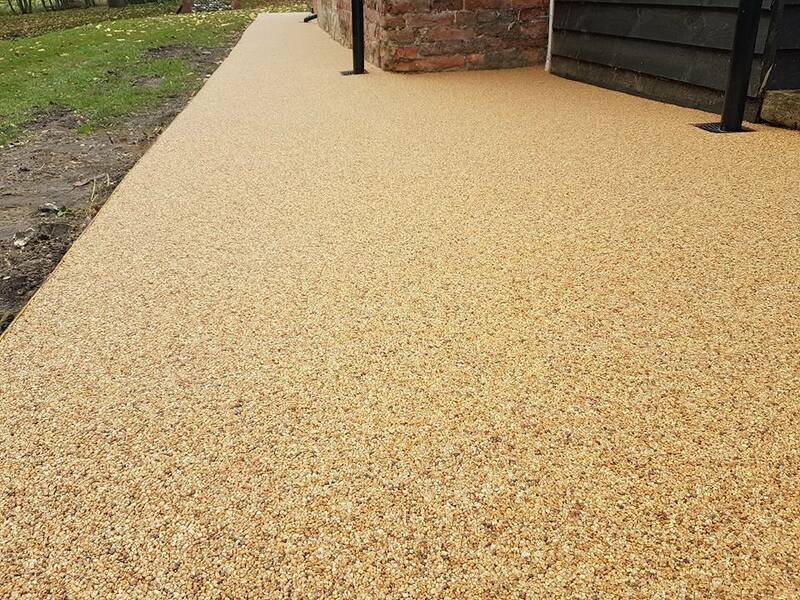 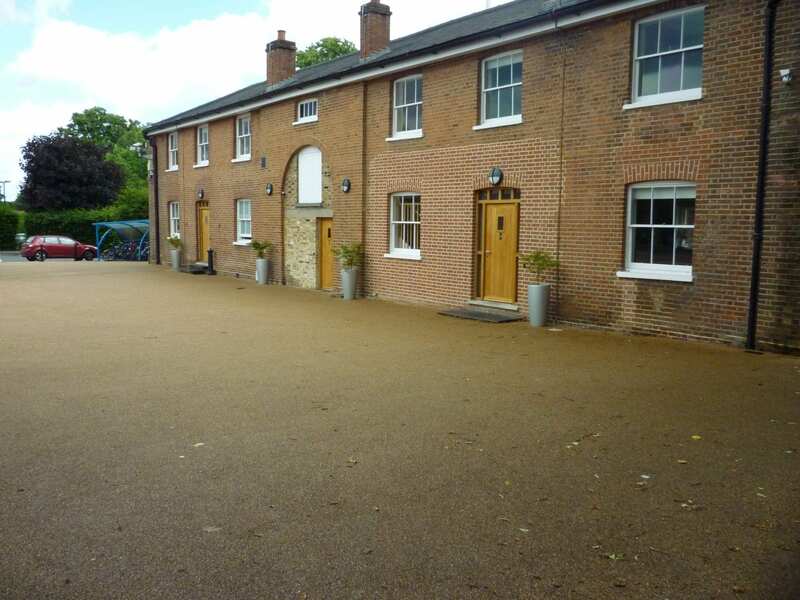 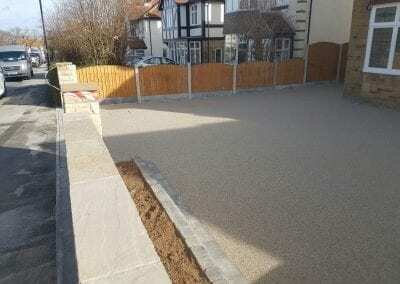 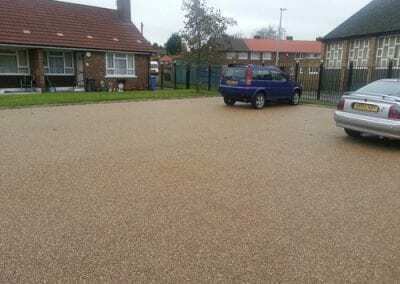 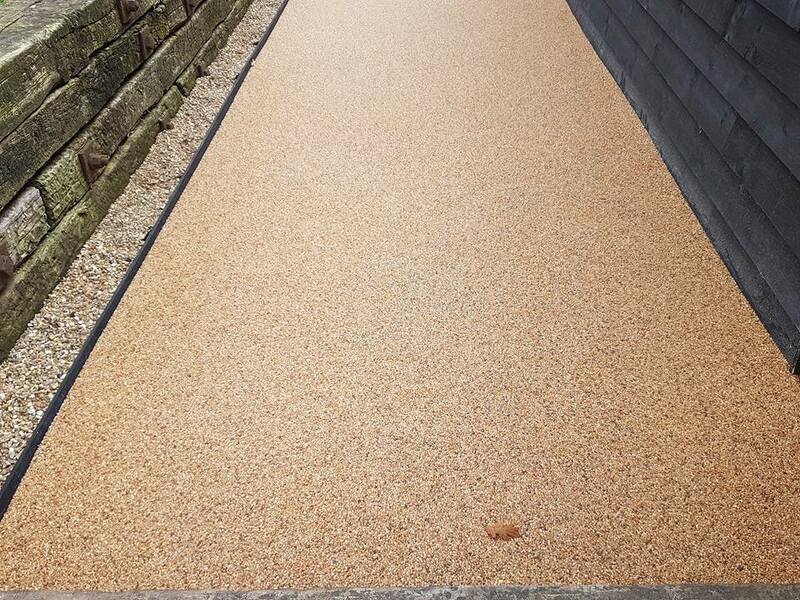 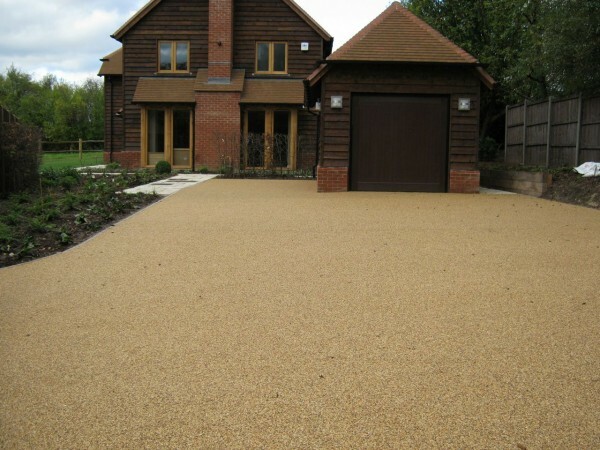 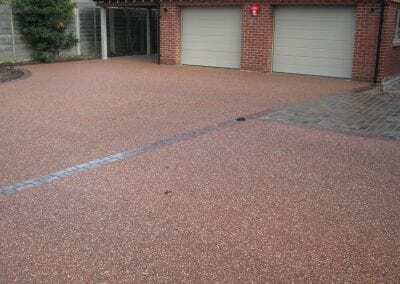 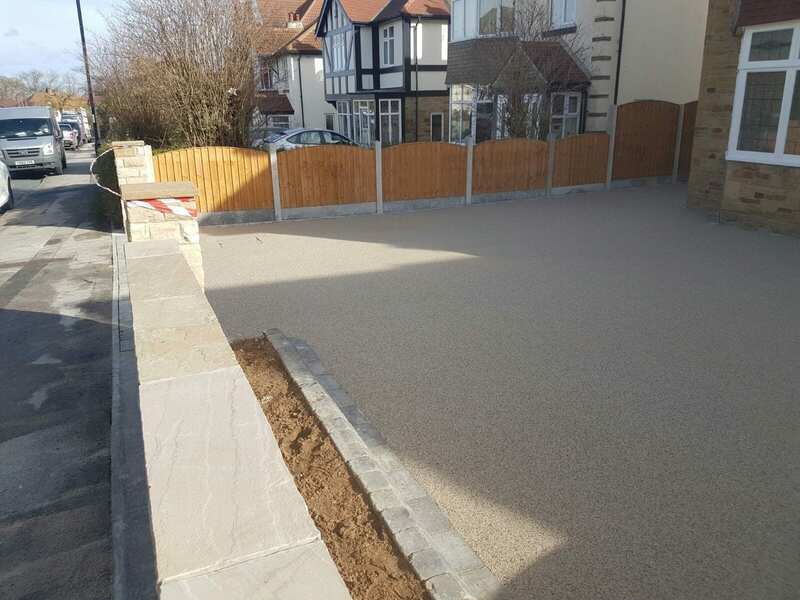 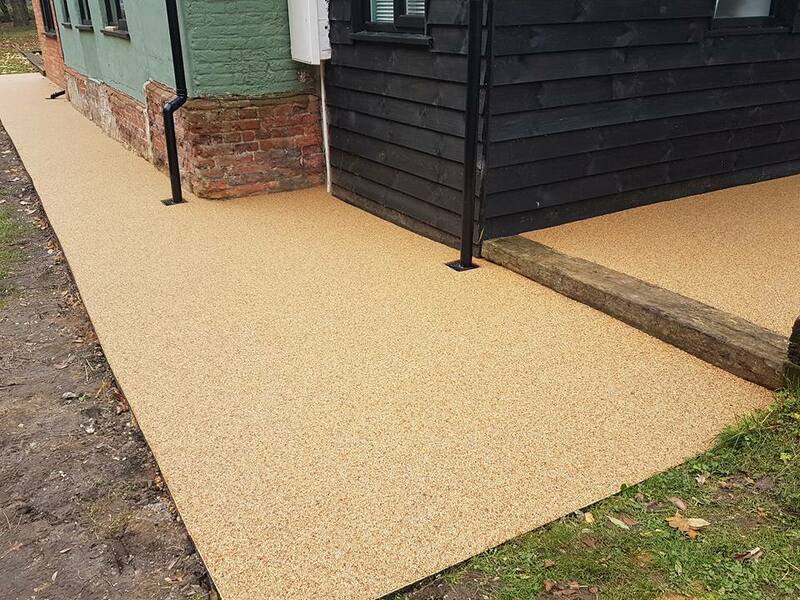 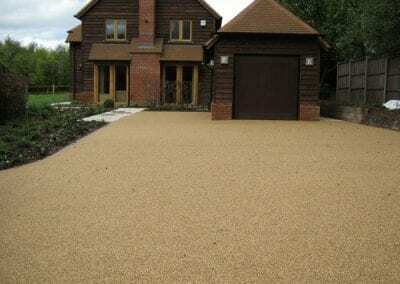 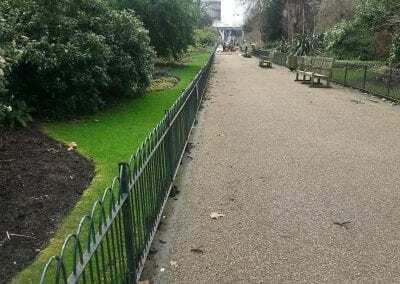 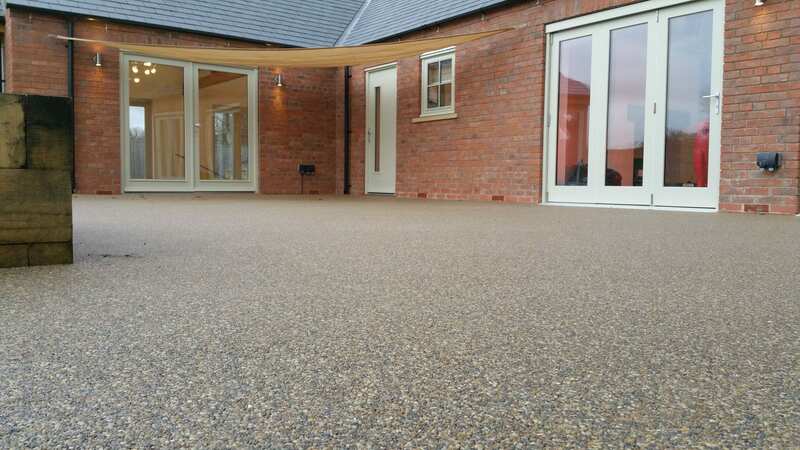 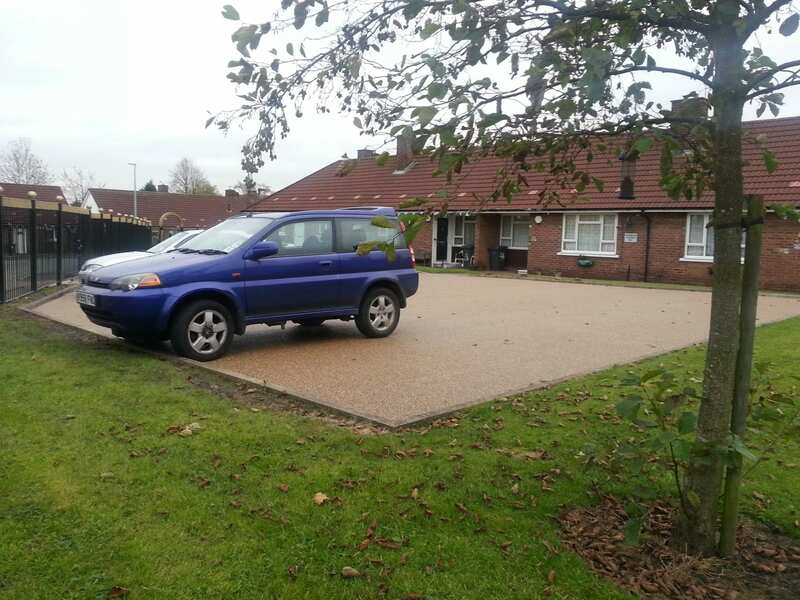 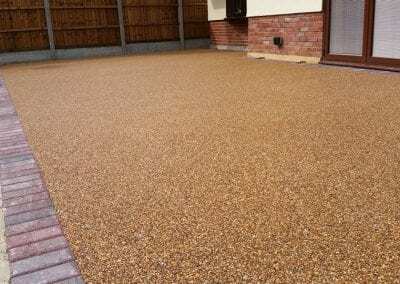 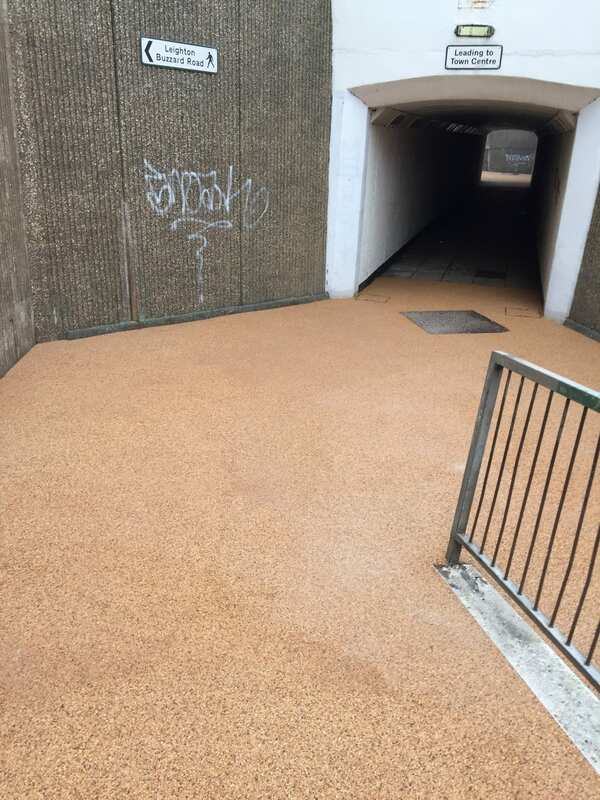 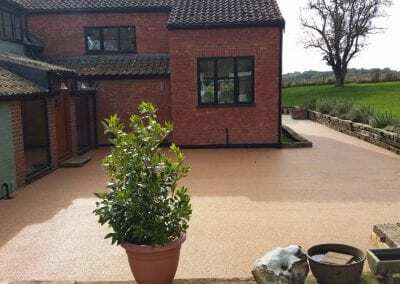 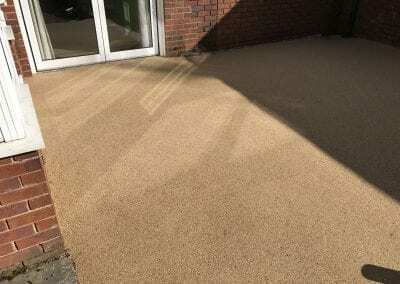 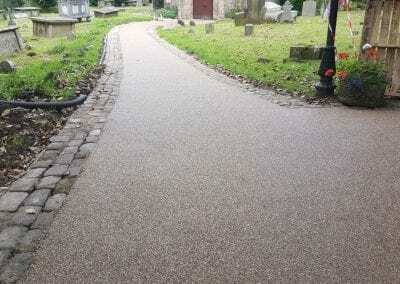 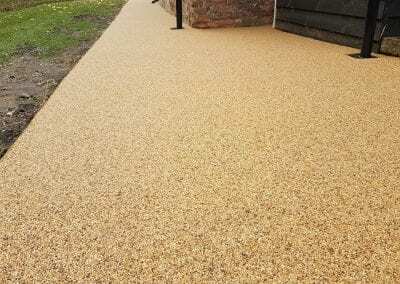 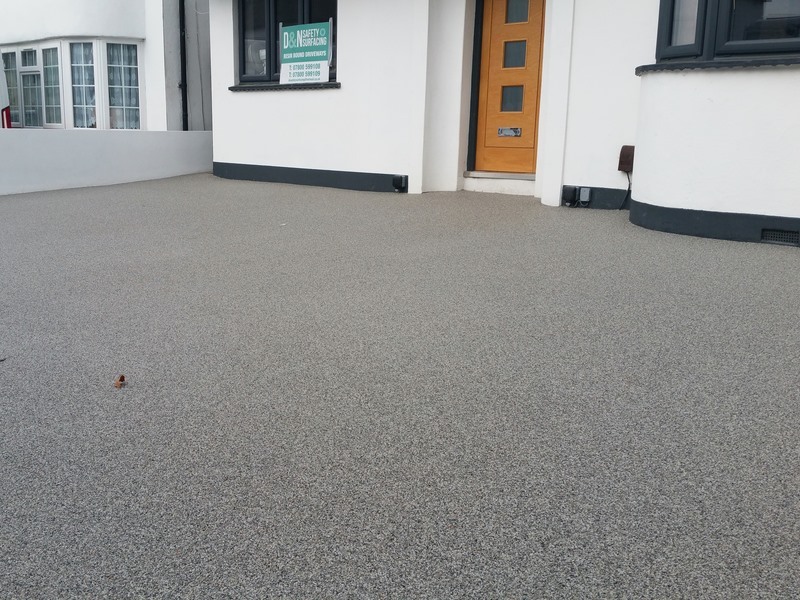 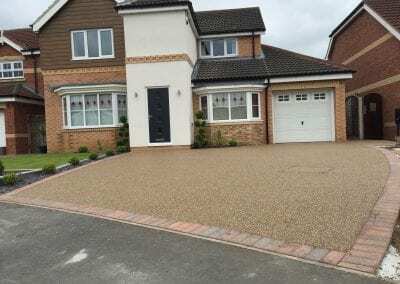 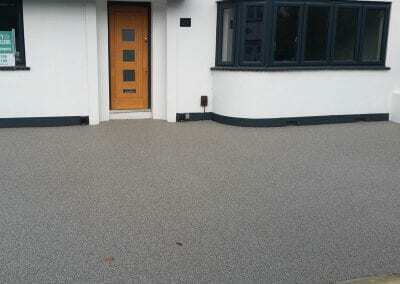 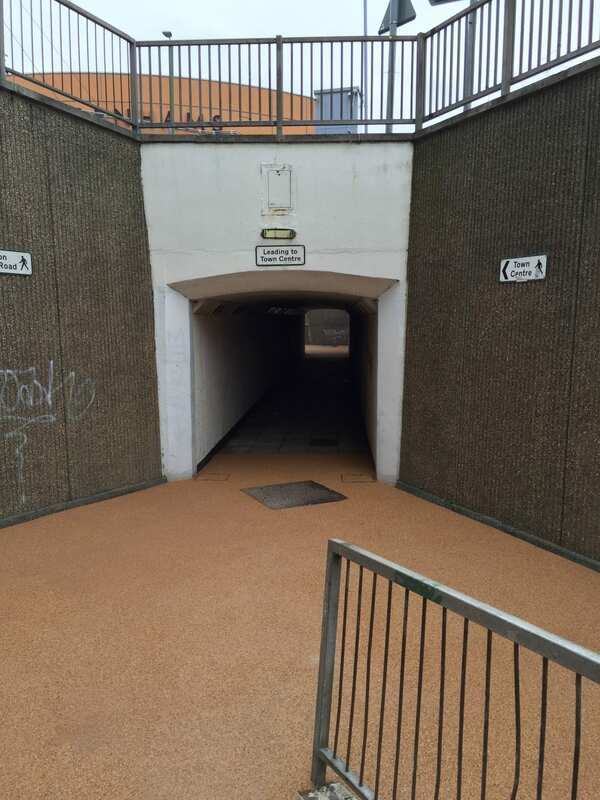 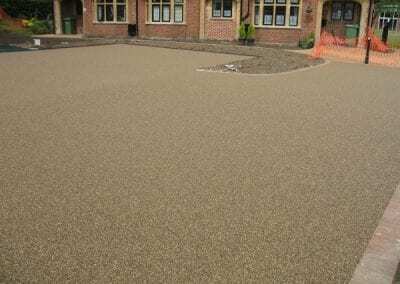 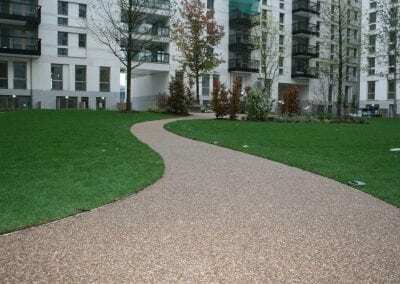 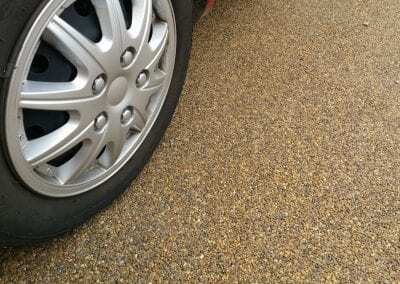 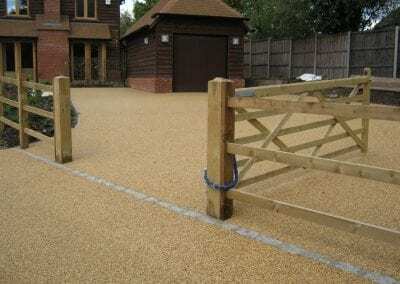 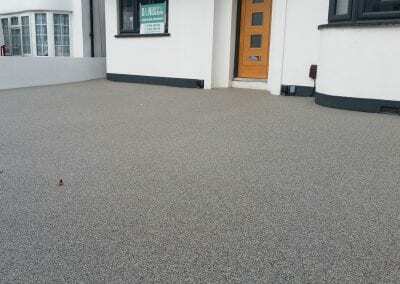 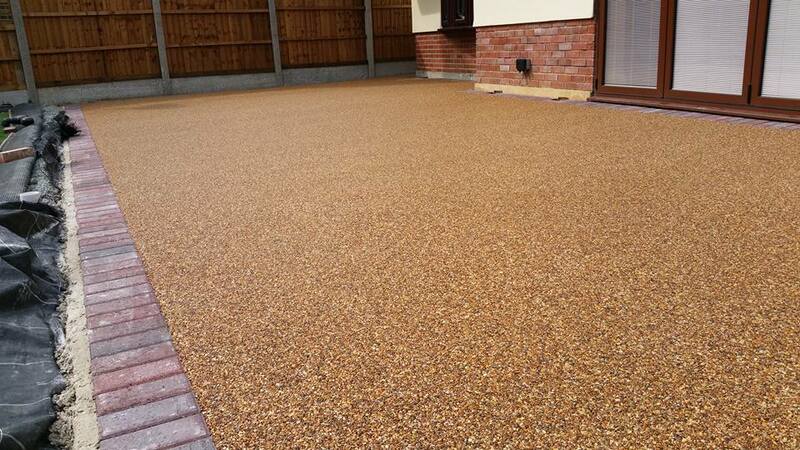 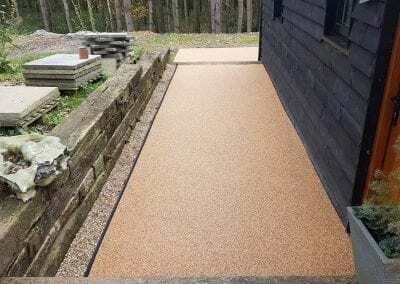 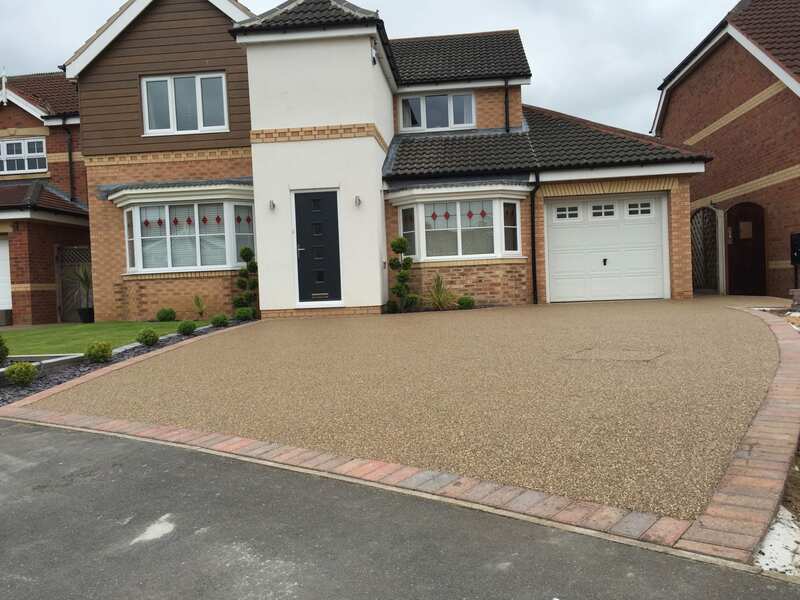 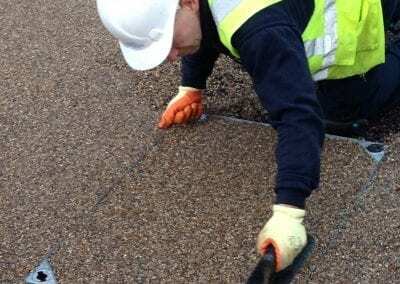 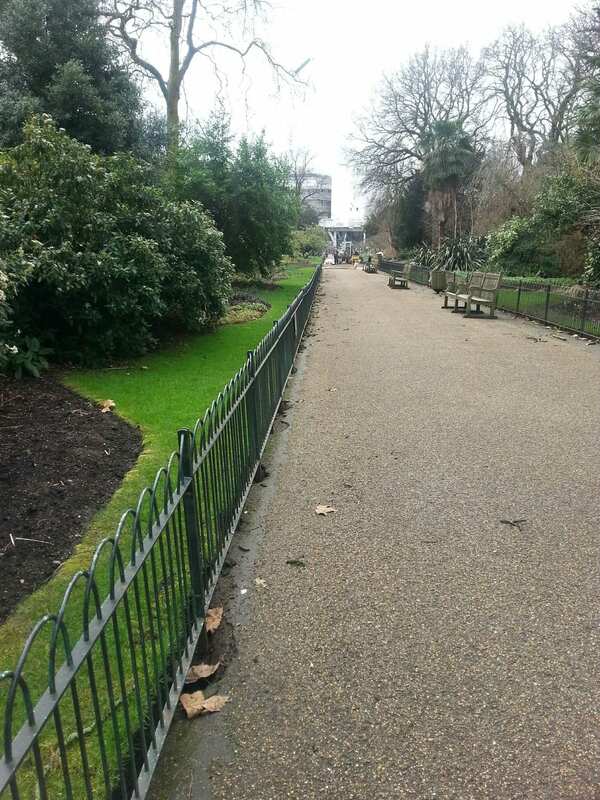 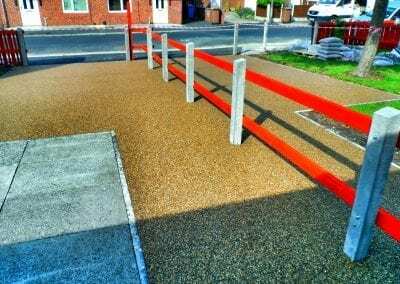 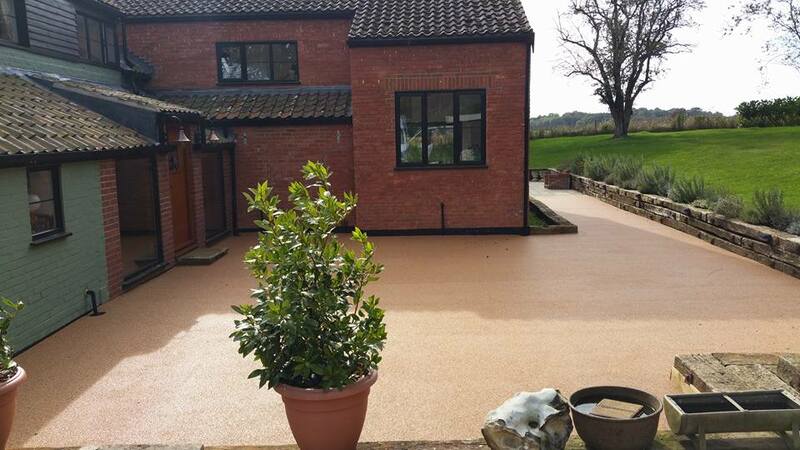 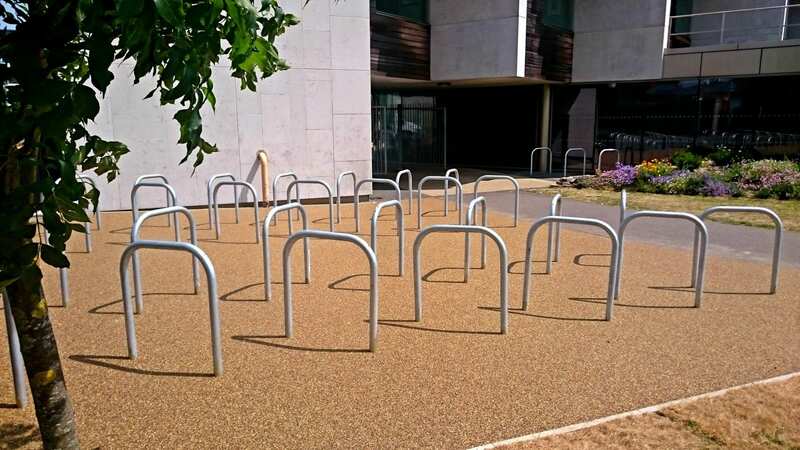 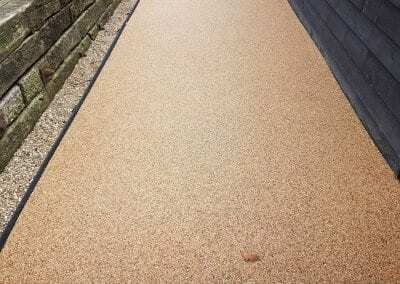 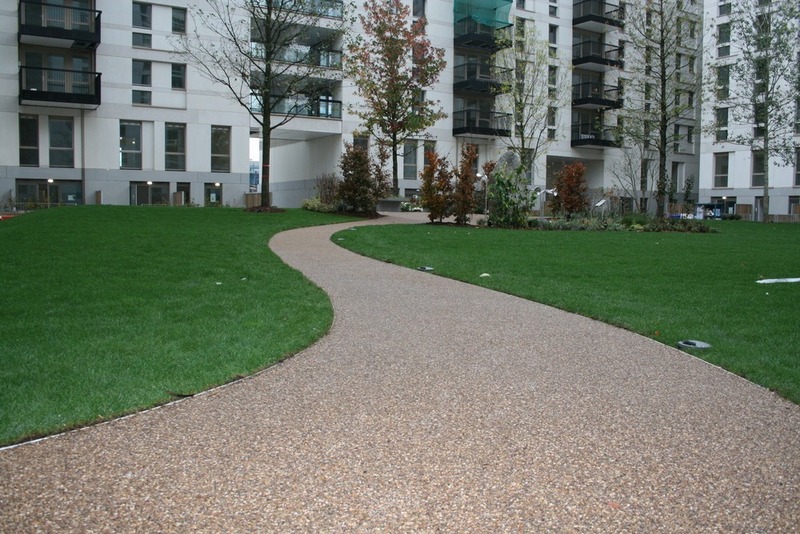 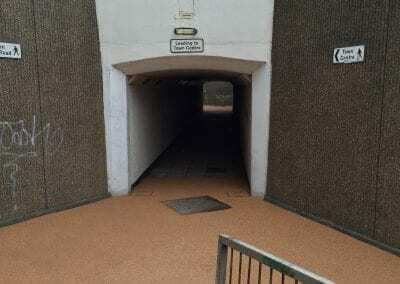 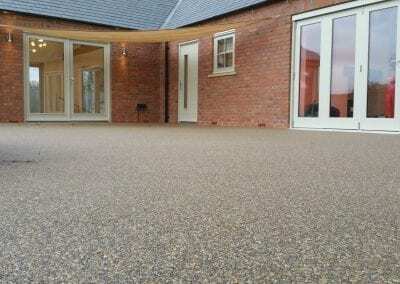 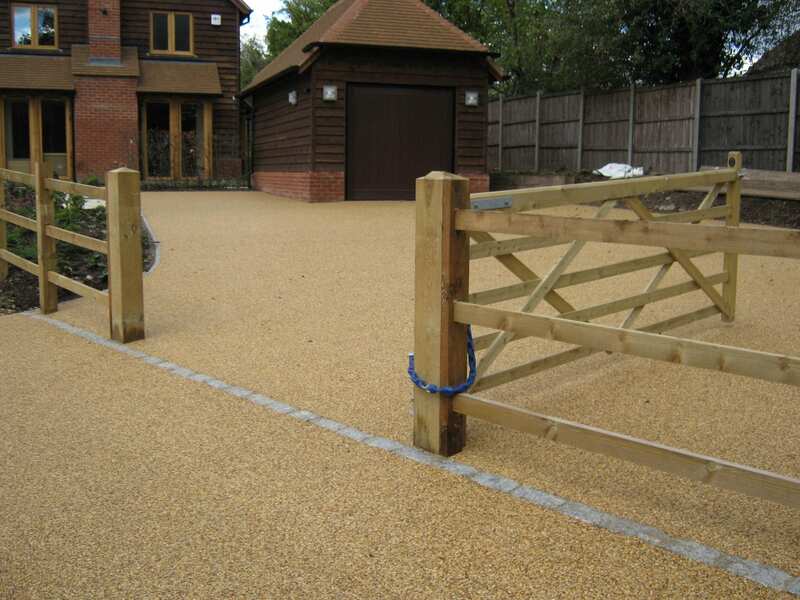 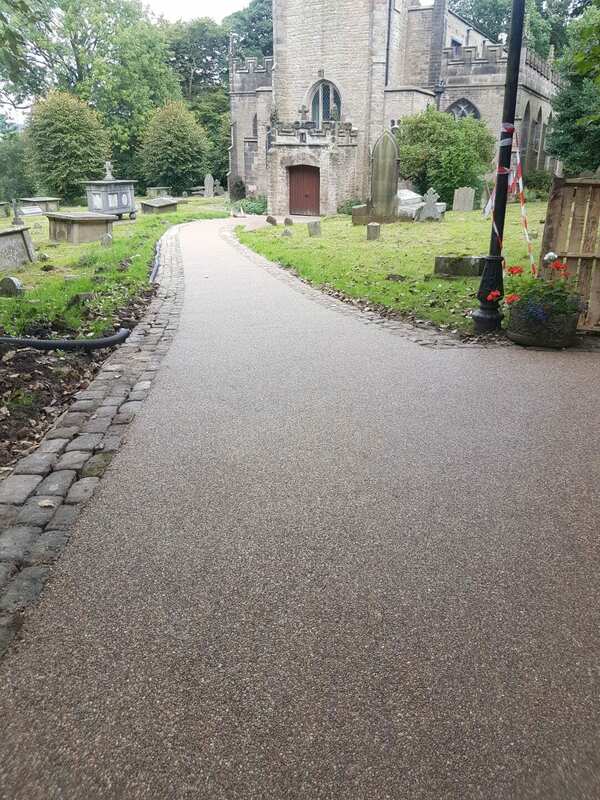 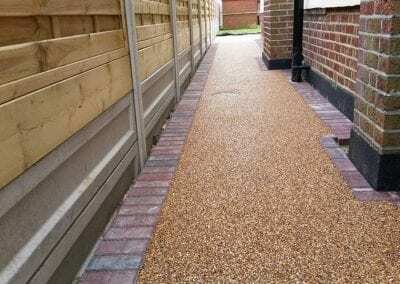 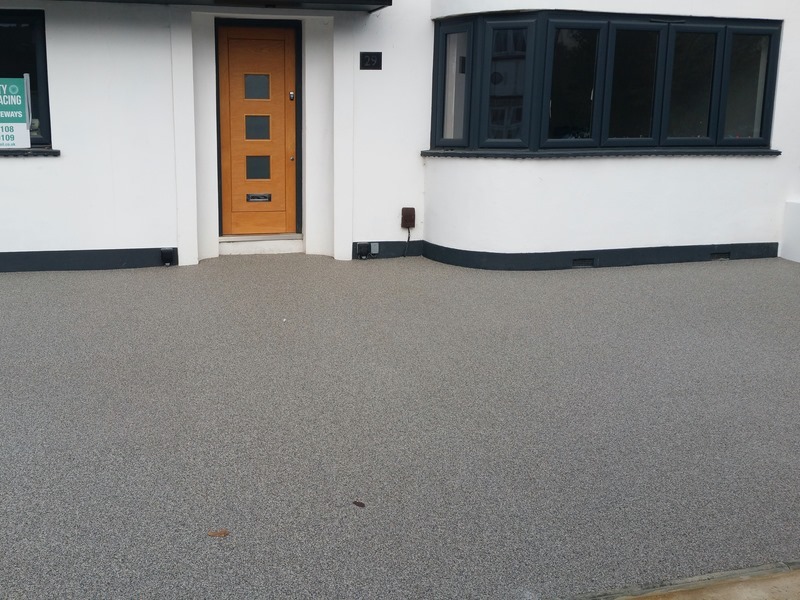 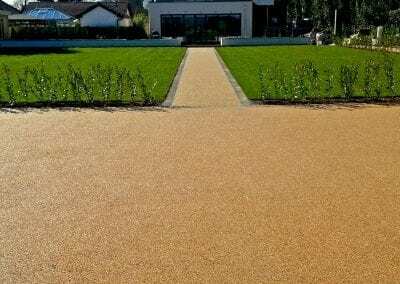 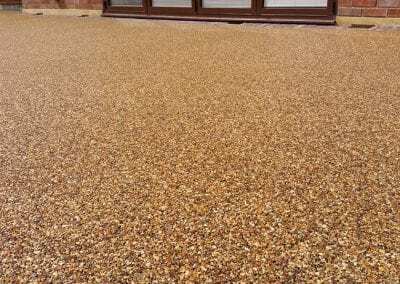 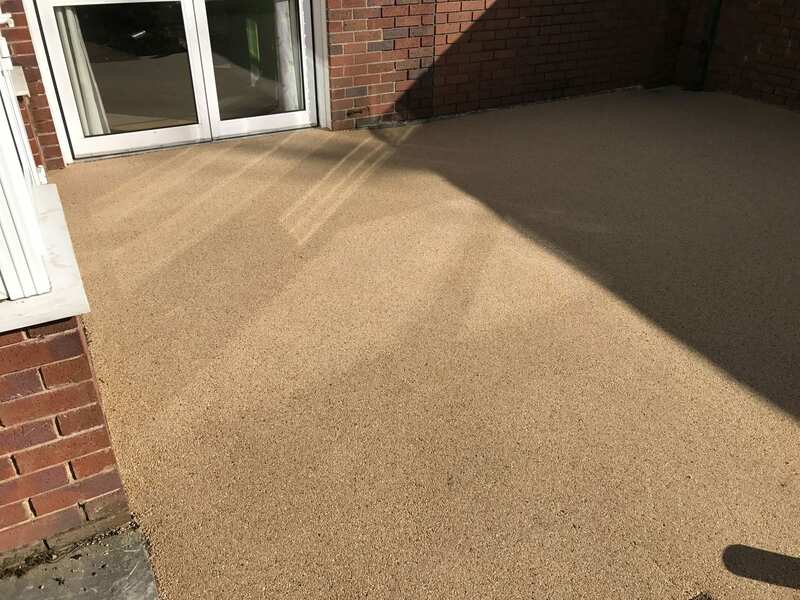 Porous resin bound surfacing is traditionally laid onto a base of concrete or tarmac which can develop faults over time such as delamination, clogging and weed growth. 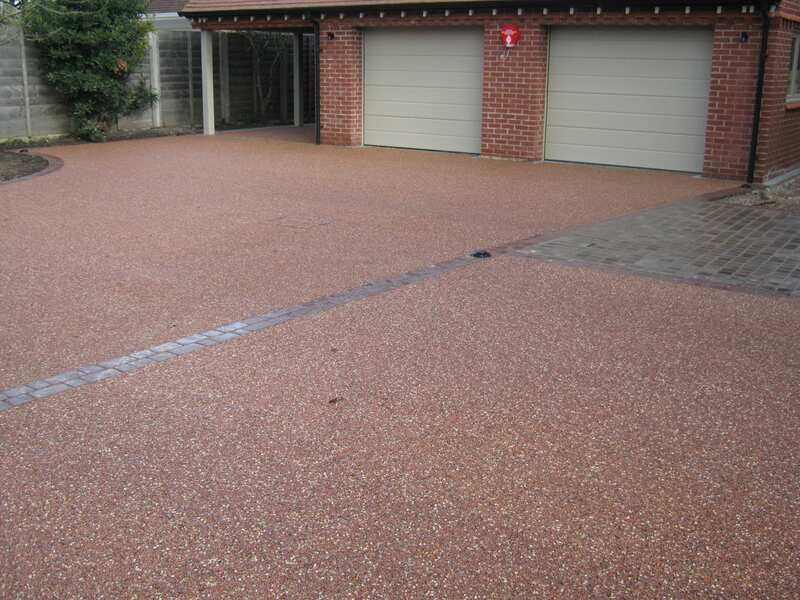 The Patented Sudstech system prevents these issues by using a recycled rubber sub base. 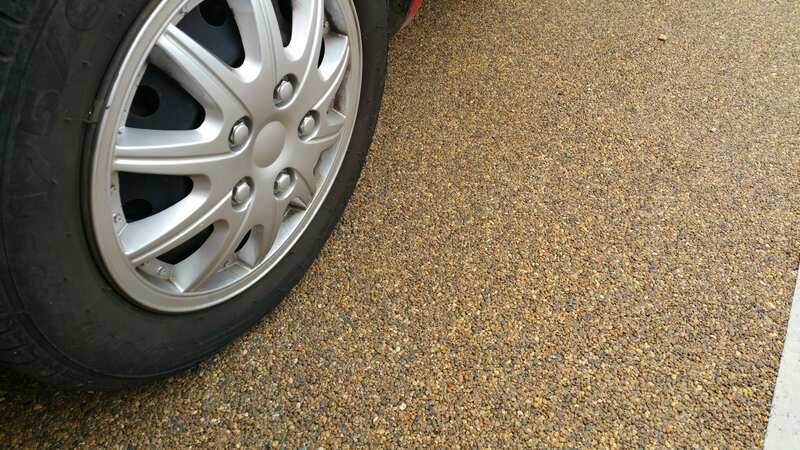 Small fines that support weed growth usually build up over time affecting porosity, however, due to the slight flexibility in our rubber sub base fines are agitated through the product when trafficked by vehicle or foot, never being allowed to settle in any one area. 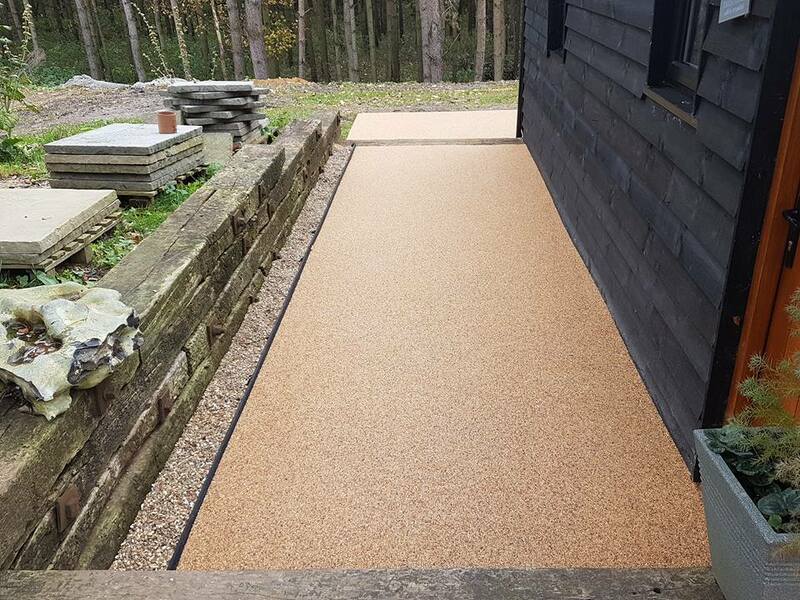 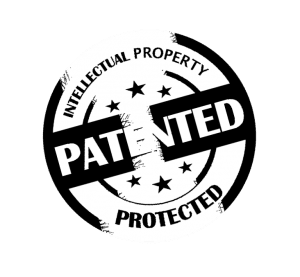 Sudstech has been rigorously tested and researched by various leading universities, environmental groups and research establishments. 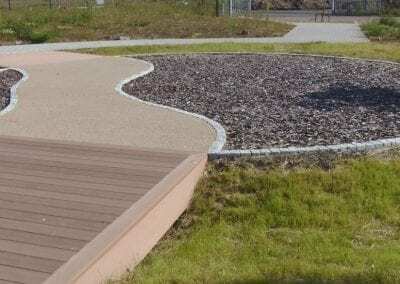 We work closely with Architects, Contractors, Designers, Landscape Architects and Clients to understand project requirements – from design to completion. 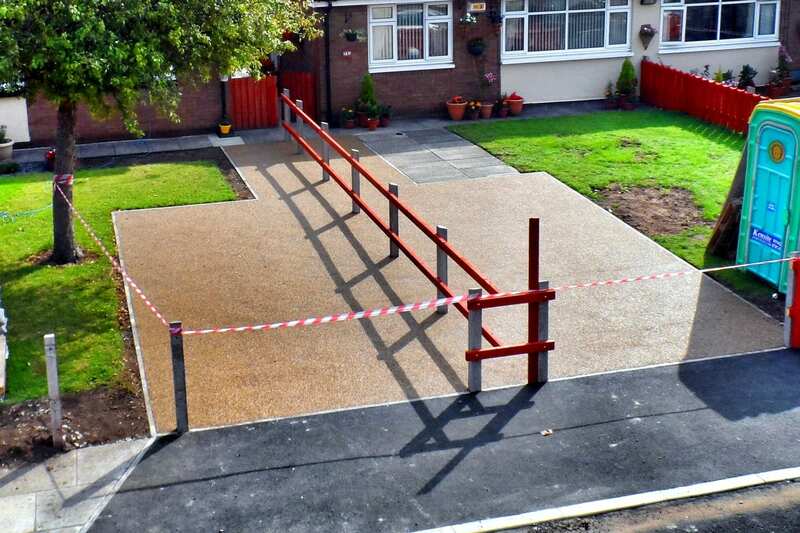 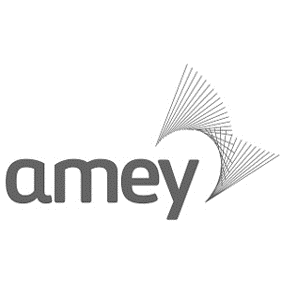 This enables us to deliver the right solution for you.